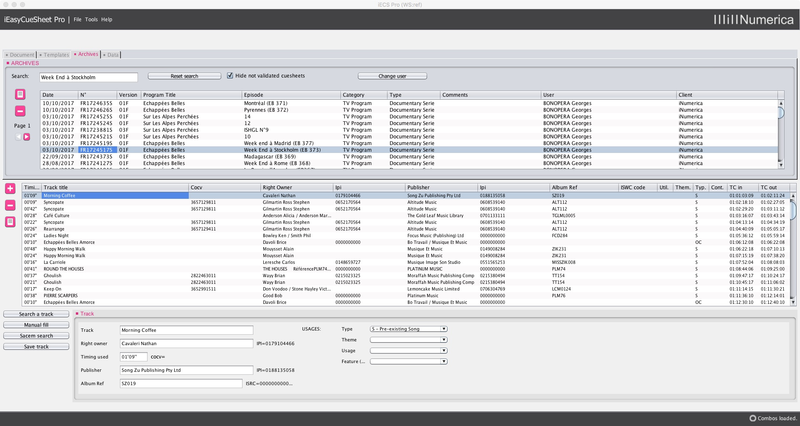 Do you want one tool to manage all your cue sheets and access the copyright of our publisher partners? 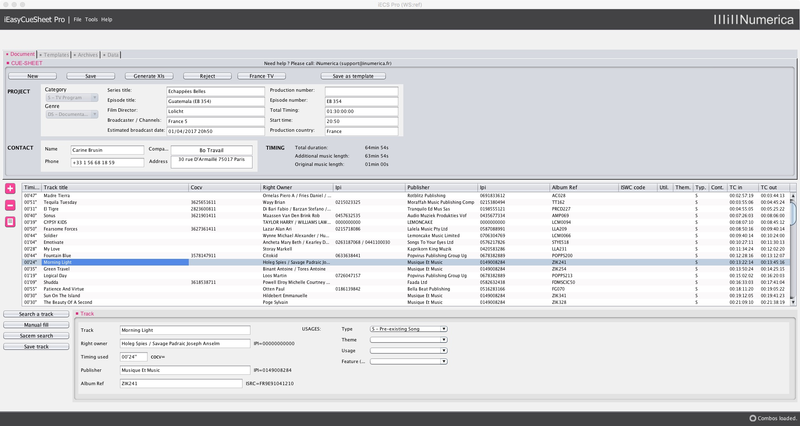 iEasyCueSheet Pro ™ A Multi Catalog Edition now allows you create your cue sheets in the Producer version. Access to copyright information which is continuously updated by our publisher partners. 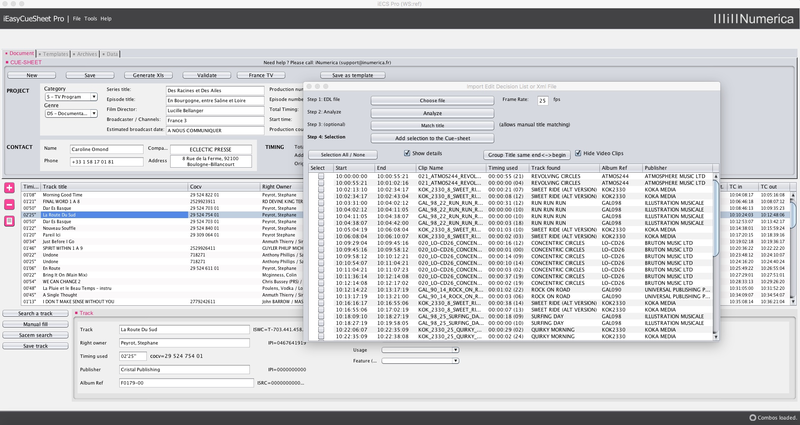 Store all your cue sheets in a central database. 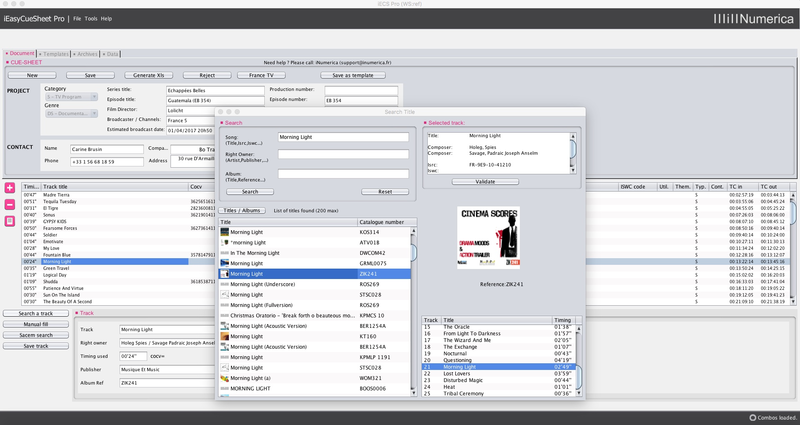 Automatic insertion of selected copyright information in the cue sheet form. Generates the most popular cue sheet forms and templates. Search by title, composer, arranger, publisher or support reference. Copyright search in the database provided by Sacem. 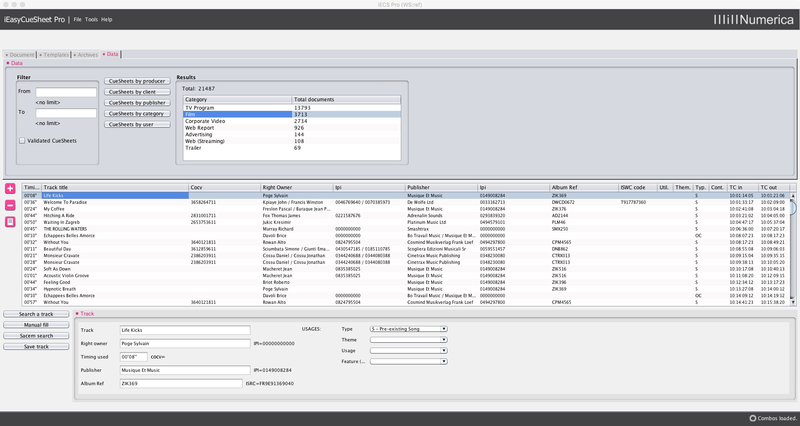 Export cue sheets and send them in electronic format to corresponding recipients. iEasyCueSheet is developed in Java and available for Apple Mac OS X, Microsoft Windows XP or later versions. Download iEasyCueSheet Producer and create your User online.